2.0 (Hindi) 5th Day (Monday) Collection Early Trends, Excellent Hold! 2.0 (Hindi) has shown excellent hold on 1st Monday (5th day) at box office as early reports for the day is coming in. Film is showing similar occupancy to 1st Friday with no drop as such. At places film is performing bit better than Friday. With Monday reports are out, we can say that ground reports of the film is quite positive. Film should now enjoy good run at box office. At least 2-3 weeks of run is guaranteed and it can be even more. Who knows. With superb hold on 1st Monday, 2.0 Hindi version is alone heading towards 200 crore mark. 2.0 might be Akshay's first entry into 200 crore club. However, film has potential to go even far. 2nd Friday will determine whether film can even challenge 250 crore or more. It is too early to make any prediction for the day, as a lot of shows are still left and major reports from interiors are awaited. Considering the lower ticket price today and also comparing the samples to that of Friday, we can assume that 2.0 5th day collection is trending towards 13-14 crore nett mark. Drop in collection is simply because of lower ticket price. These are early estimates from limited samples. Final count will be higher or lower depending on how film performs in Night shows and interiors. Still lower than expectations. Rajini sir's movies are expected to collect this kind of amount regardless of akshay or not. If so, than Akshay would have collected first 200 cr without Rajini's help. Go figure. Which rajni movie collected 100cr in hindi. Tell me one only. you idiot agrawal stop using that kind of language. Bring out the fact than talking personally like Rudra. Bhaiyya... Robot. 1 lifetime collection 290 cr. tha... Aur woh bhi 2010 me..
Kya super hero hai bhai humara. ..
Saale Roric criminal kisko bolta hain ? 2.0 nett collection 229cr india according to BOI. Tu agar akki fan he to tuje positive kyu nahi dikhta. Sab negative hi dikhta hai tuje. matlab tu hater he or itna jal raha hai ki decide bhi nahi kar pa raha ke fan he ya hater. Sale Najeer BOI Ki report pade movie k tickets price normal h khans or Dusre star Ki movie jaisey increase nahi kiye warna collection abhi tak 150 crore paar ho jata. Chutiye aacupncy Dekh le phle. Sunday ki accupancy TOH k first day se jayada thi. Soch same ticket price or screen hoti to Kya hota. Or chutiye Aaj tak ka record utha k Dekh le Diwali ko Christmas k bich Aaj tak koi movie hit nahi hui. Wo bhi itni badi. Same January k week mein h. 26 January se phle release hui koi movie Aaj tak hit nahi hui. Non holiday pe holiday wala collection kar rahi h movie. Pehle bolne ki tameez sikho mitra yaha normal debate hai, abusive language ki ni. AUR movie kisi ko achhi lag sakti hai kisi ko achhi ni. MUJHE sar dard lagi toh lagi. Ismein itna hyper hone ki Kya baat. Akshay is a good actor sab jaante hain, but ismein acting se zyada illogical VFX hain .. Such a relief to hear this!! Movie achi honi chahiye,or yahi hai akshay Kumar ki movie ka regular success Hona. 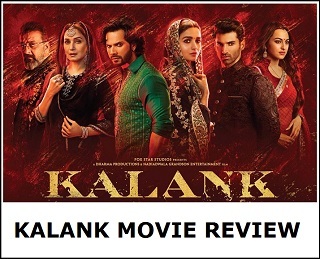 Will it cross Ranveer and Ranbir highest box office movies Padmaavat and Sanju? If the trending is very good. Anything can happen. Sky is the limit. I just finished watching Airlift I always proud to watch Airlift this my 10th time Akshay is great. I know Akshay fan hate me I don't care who mujhe gali de unki choti soch hai unki mentality hi choti hai. Reality is before releasing 2.0 everyone expecting it will do record collection in hindi but failed even some Ppl predicted it will break BB2 record fail. I love rajnikant movie M not spreading any negativity but those people abuse other actor film its not good. Reality is today's collection will be at least 16 to 17cr being a huge film with huge popular from last 4 to 5 years still fail to do huge collection n fail to collect 40cr in Sunday. Gali dene wale mujhe Tum Ko b wapas wahi gali agar achi aulad ho to accept karo gali mat do..
Haha Chutia .. akki no 1 ..
Wooooooooooow. It's a big slap of akki hater's face. Kyuki socha jab akki big banner k sath kam karega to Kya dhamaka hoga. Now its very hight possiblty that akki done DHOOM 4.
dear uneducated Nazir Hussain, 550-600 crore is the overall all India budget considering all languages, 2.0 has already earned more than 200 crore in India in 4 days (first extended weekend). I am not even mentioning the overseas collections. It will surely do 750-800 crore in India by the end of its run (all languages). Now coming to your point about the Hindi version, it was sold for 80 crore and that amount has already been recovered by the distributors. Why did I mention all languages? Because 2.0 is an Indian movie. Even Dangal's 387 crore was including all languages in India. Get well soon brother. Akshay kumar is very funny guy. Most of his movies are hyped before release than suddenly do not collect as per those hypes than people starts lowering expectation and eventually make it hit regardless of expectations. Lot of people here were predicting to break BB2 records now all of the sudden, it is blockbuster even in 200 cr. It is Rajni effect. Akshay would make 200 cr alone when inflations will be super high in 2025. To all those people who thinks its akshay movie. No its not. 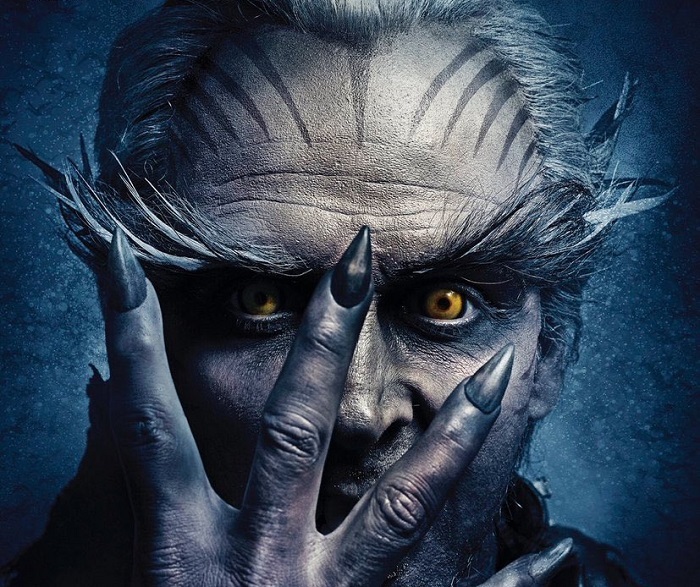 First its rajnikanth movie and second it is sequel to robot which was a hit movie.if it was a solo akshay movie with this much budget then it would have been the biggest disaster of all time because it could not have crossed 150 cr with 560 cr budget. If it was akshay movie. Robot 1 mai Rajnikanth tha jiska lifetime 25 cr hai..Rajni may be bigger star in South but his every film flopped in Hindi in North..Kabali,linga,Robot none of them collected more than 30 cr lifetime..Hindi collection credits only to Akshay..By the way Hindi collections are low & not acc to expectation. Abe roric personal kyun hora be mai kya bolun teri soch hi choti hai tu to Akshay K fan banne K B khabil nahi hai kyun ki tujh jaise fan Ko Akshay b nahi pasand karta kitna gandha hai tu kitni gandi zaban hai teri... Thik hai mai koe comment nahi karunga 2.0k bare me kyun ki tujh jaise insan ke muh nahi lagana mujhe. JO B TU MERE BARE ME BOLEGA SAME TO U. REQUESTING OTHER GENIUEN AKSHAY FAN MY COMMENT IS HURT YOU PEOPLE FOR THAT SORRY. BUT PLEASE DON'T SUPPORT THIS @RORIC TYPE PEOPLE. @Admin please don't allow personal abusing comments. M following your site more than 5 years... Please don't allow. M big fan of ur site. Please @Ankur bhai don't allow personal abusing comments. Even I don't say any negative of the film. Jo B mujhe gali dega woh apne ma baap Ko gali dega kyun ki mai kisi Ko gali nahi diya. Aur mai reply nahi dunga jitna bhonk na hai bhonko. First no one should have invested 600 Crore on Akshay if solo movie. No one will invest that much money in an actor be in Salman, Aamir or Shahrukh. Oh Arjit gandu role ka impact dekha jata h. Negative positive nahi. Chutiye damini ka hero Rishi kapoor tha leken fir bhi log sunny deol ko yaad rakhe h Kyuki wo chota sa role ne movie ko hit bana diya. Same yahan akki ka role h. Wo main hero nahi h.
Aaj bahot jalan dikh rahi hai. Kya bat hai bhai. Abhi to ye lamba chalnewali hai. Thodi bacha ke rakho aage kam ayegi. Tubelight me pura ka pura salman tha. Wo bhi eid holidays par. Stardom kaha gaya tha tab. Srk ke ki bat bhi mat karo. Jhms yad hai na. 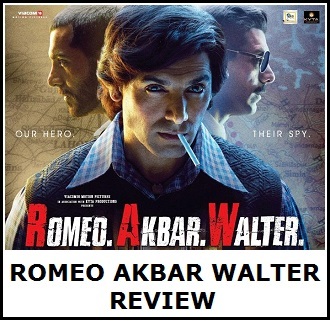 I was hoping this movie will be Akshay first blockbuster movie New actors like Ranbir Ranveer and Tiger sherof has given blockbuster movies but akshay with this huge budget movie again only hit. Aamir Khan rejected Robot 2.0 because it was Rajini movie. After that Akshay got the offer and he ran with it since it is his only chance to get into 200 crore club otherwise his movies like toilent, padman etc would have collect that kind of amounts also. Sonu bhai 200 BAHUT mushkil hai KUK next week kedarnath release ho rahi hai aur uska content achha lag raha hai aur agar public ko touch kar gayi toh iss sar dard ko koi na dekhega uske baad, 180 BHI pahuch jaye toh BAHUT hoga.